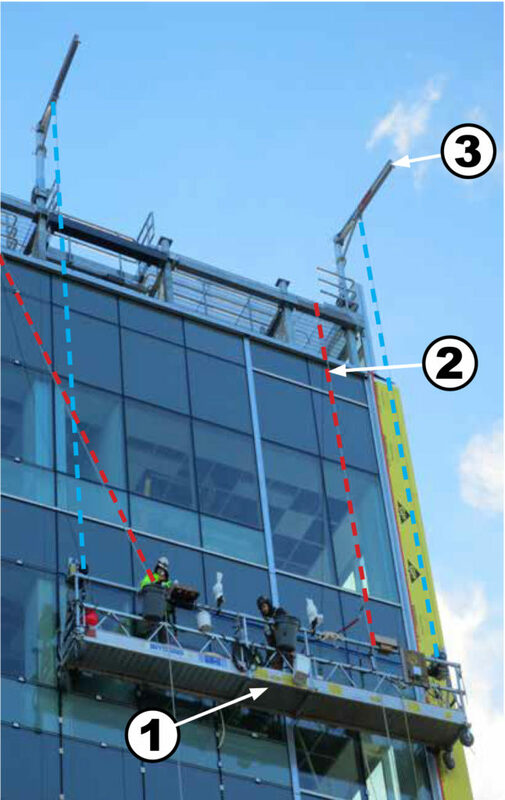 Suspended Scaffolds & Powered Platform Systems – Summit Anchor Co.
How does a powered platform work? What is a Ground-Rigged Davit and what does OSHA require? 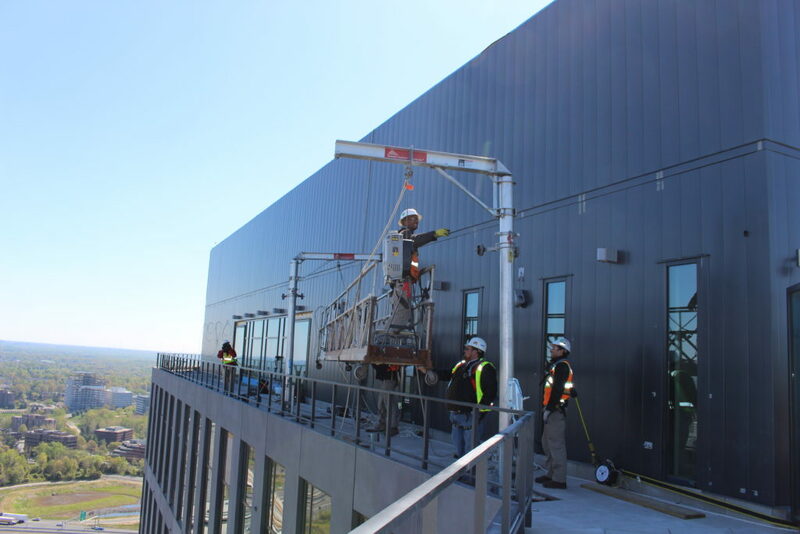 What is a Roof-Rigged Davit, and what does OSHA require? What assurance is required before using permanently installed equipment? What is a tie-back used for? A tieback is a taut wire rope “tied-back” to an anchorage capable of supporting 5,000 pounds to secure rigging equipment like parapet hooks or counterweighted outriggers. The purpose of a tieback is to prevent inadequately counterweighted outriggers from falling off the roof, or to prevent parapet hooks from falling in the event of parapet failure. What is the loading requirement for suspension access equipment like davits or outriggers? 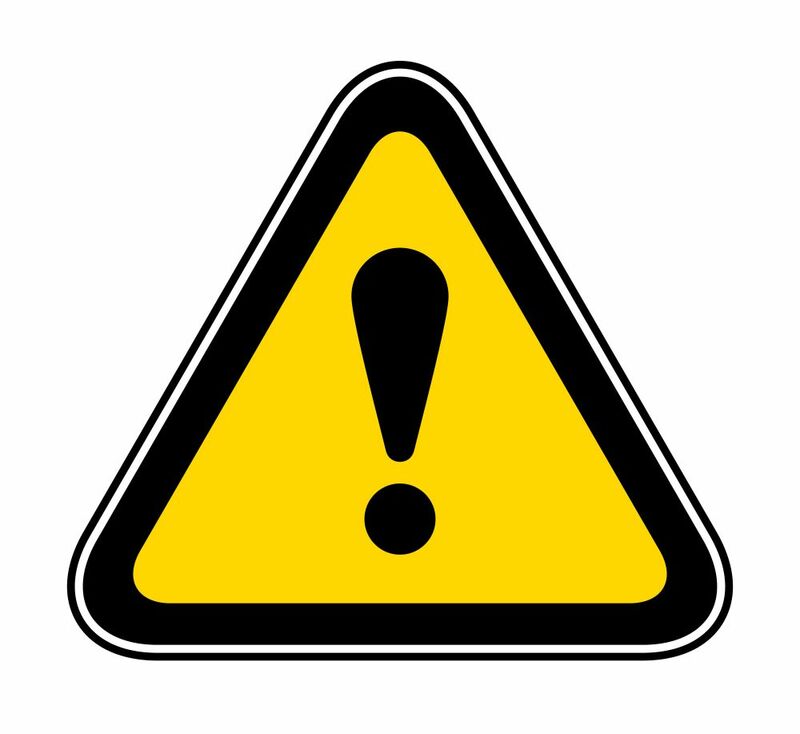 Caution, davit, monorail, outriggers and other suspension equipment rated for 4,000 lbs. may not be acceptable for use as a part of a rope descent system. Anchorages for rope descent system must be capable of supporting 5,000 pounds, whereas, davits, monorail, or outrigger systems typically are rated for a 1,000-pound capacity with a 4 to 1 safety factor. Therefore, the building owner should to increase the capacity of the suspension equipment design to 5,000 pounds to allow for rope descent systems. The additional cost to increase load capacity of equipment may be offset by a lower cost for rope descent systems. Download our Davit & Outrigger Manual for more information.